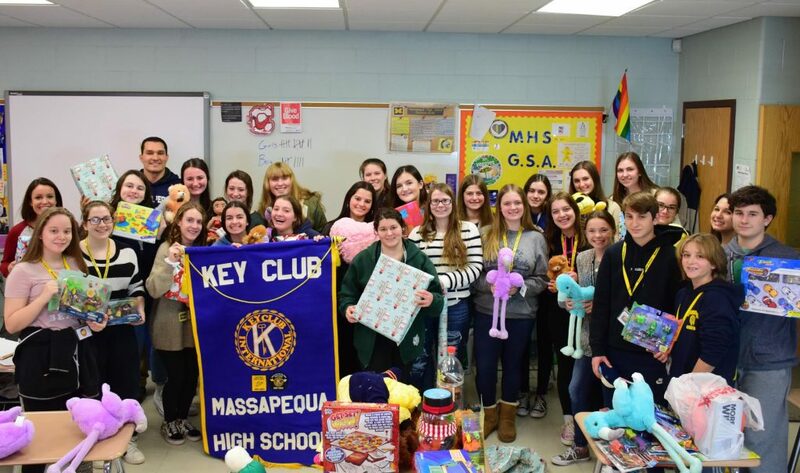 Massapequa High School’s Key Club fulfills its community service mission with charitable activities throughout the year, including an annual holiday toy drive in partnership with the Kiwanis Club. Students and staff were able to donate new toys during a two-week period in December. 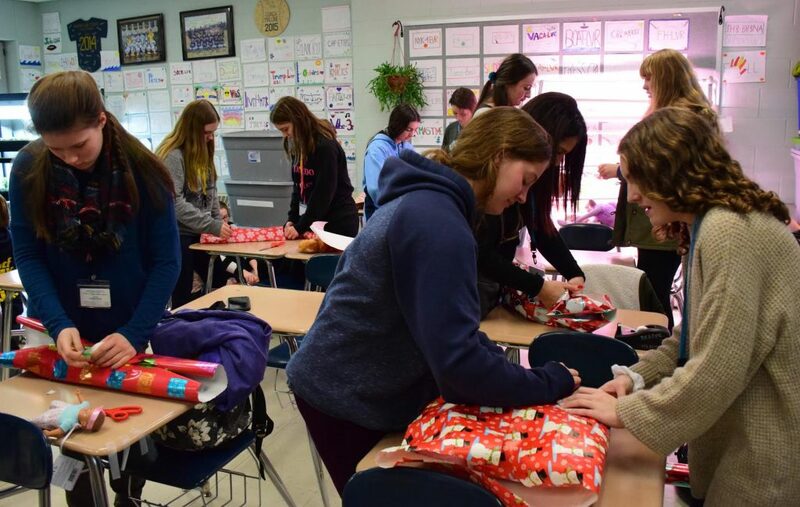 Key Club members gathered the toys and wrapped them afterschool on Dec. 18. The following day, they traveled to the Head Start program in Amityville to spread Christmas cheer. Adviser Michael LaBella dressed up as Santa while the student elves handed out toys to approximately 100 children. Additionally, the high school students sang Christmas carols and played games with the youngsters during their visit.